← How much pressure did it take to pop the top off Mexico’s Popocatépetl volcano? I feel like the second graph that with the bullet’s and monkey’s height over time is misleading. Just because the two lines intersect doesn’t mean that they hit each other. For example, if the gun was aimed above the head of the monkey, it stands to reason that the bullet would pass over the head of the monkey as both fell. But the two lines of their heights would still intersect momentarily before the bullet passes over the head of the monkey when the bullet and the monkey are at the same height. So saying that because the two lines intersect means that the two objects actually hit each others is misleading I believe. They occupy the same space in the vertial dimension but not necessarily in the horizontal dimension. You’re quite right, I definitely could have phrased that part better. Thanks for pointing this out. We are assuming away reaction time and the speed of sound. Both of these factors will delay the monkey’s drop from the moment of the firing of the gun. If we include these corrections, you should aim above the monkey. Why did you not write anything about the speed of the bullet? Because the parabolas will only line up, when the bullet is flying at the same speed, as the monkey is falling, if I am not mistaken. 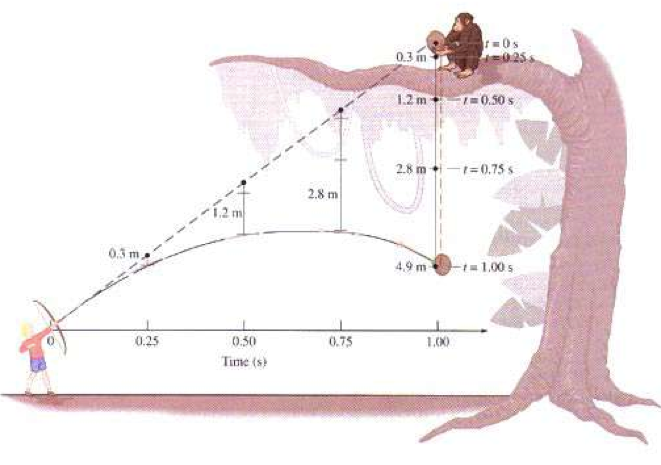 Also the monkey is falling, so it’s accelerating, but the bullet’s speed is decreasing. So the power of the shot is very important in this scenario. So why didn’t you mention anything about it anywhere? Actually, the speed of the bullet doesn’t matter. 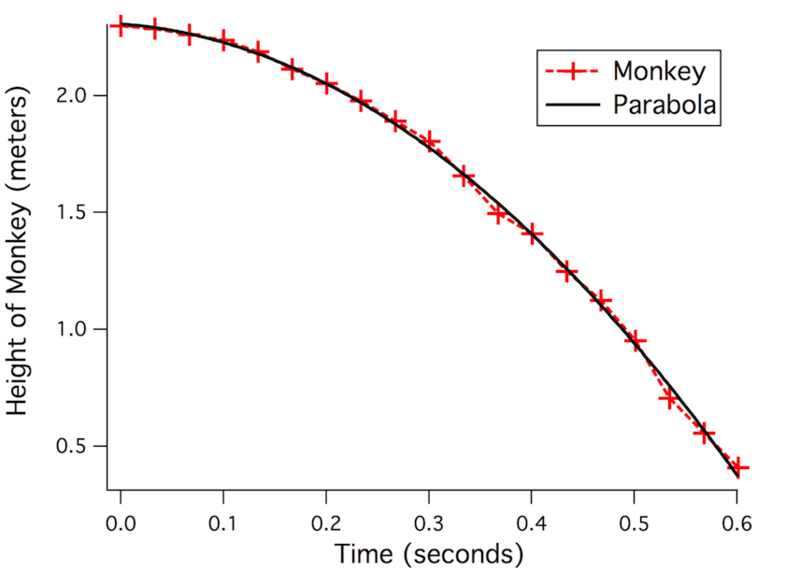 A slow bullet will hit the monkey lower (because it’s had more time to fall), and a fast bullet will hit the monkey higher (it’s had less time to fall). 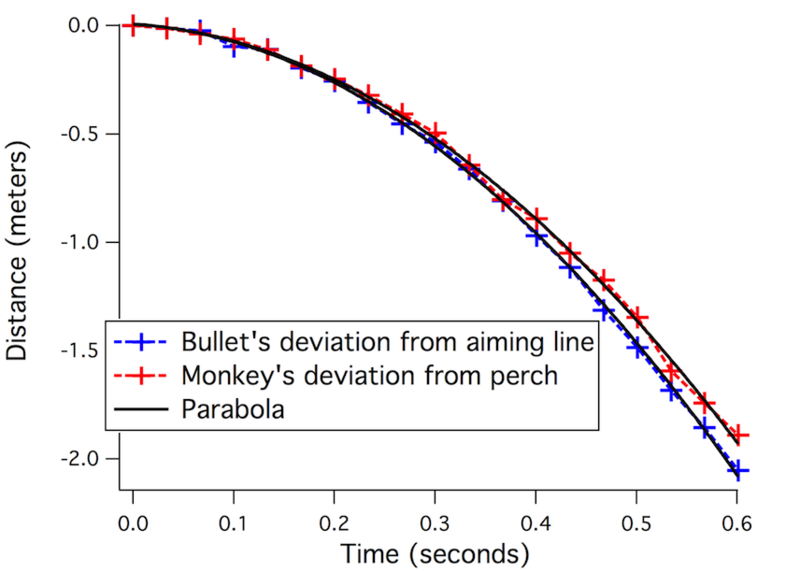 The key point is that the bullet is accelerating downwards at exactly the same rate as the monkey and this is true no matter how fast or slow the bullet is. So, it will always ‘miss’ the perch by exactly the amount that monkey has fallen. In other words, the last figure in the blog post (deviation from the aiming line) will look identical, no matter how fast the bullet is. 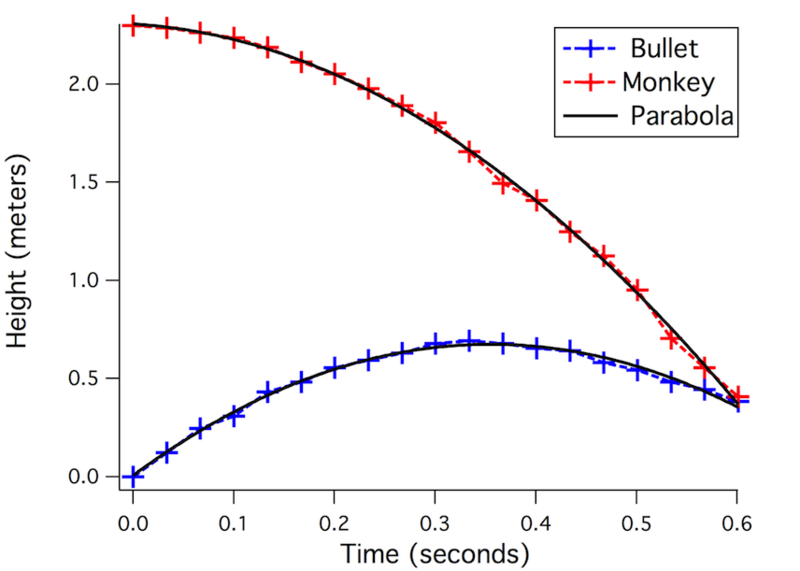 The bullet and monkey have totally different horizontal speeds, yet these curves match up perfectly because they are determined only by the downward acceleration (g), which is constant. 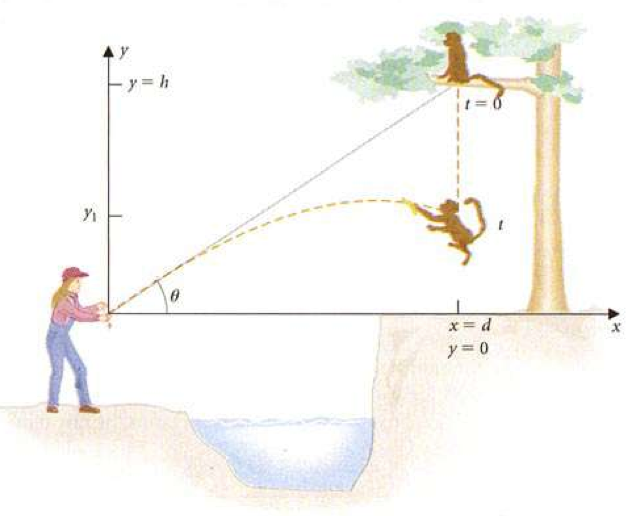 Trick question, aim right at the monkey adjusting only for the rate of fall relative to the original position. 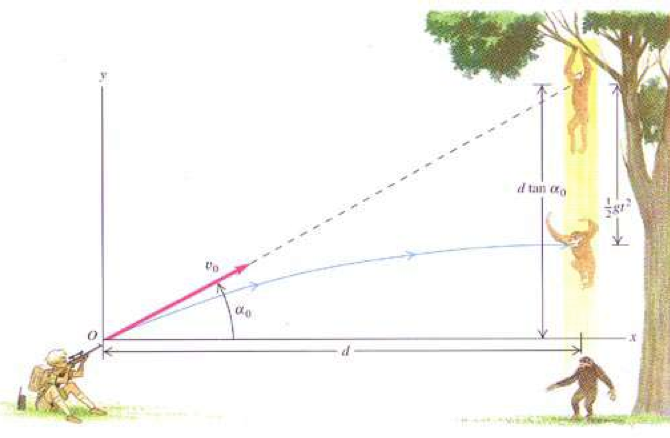 A bullet travels faster than the speed of sound and the monkey will not hear the gunshot until a fraction of a second after it was already struck by the bullet and falls out of the tree as a result. Ha! That’s a clever solution. Never crossed my mind that bullets are faster than sound. 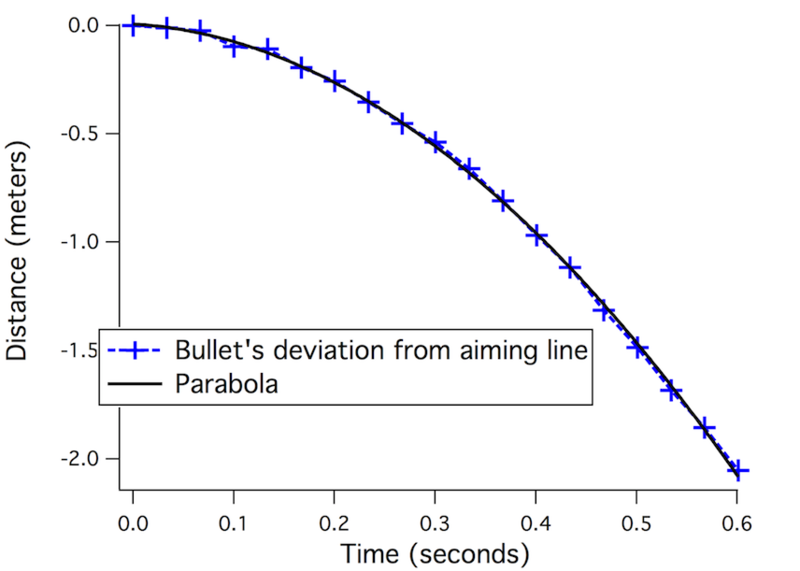 I guess the question does implictly assume the speed of sound is much faster than the bullet, but that’s not really true for a bullet. 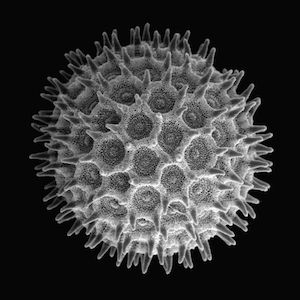 I had an awesome high school science teacher who put together a simple, but elegant experiment to demonstrate this concept. 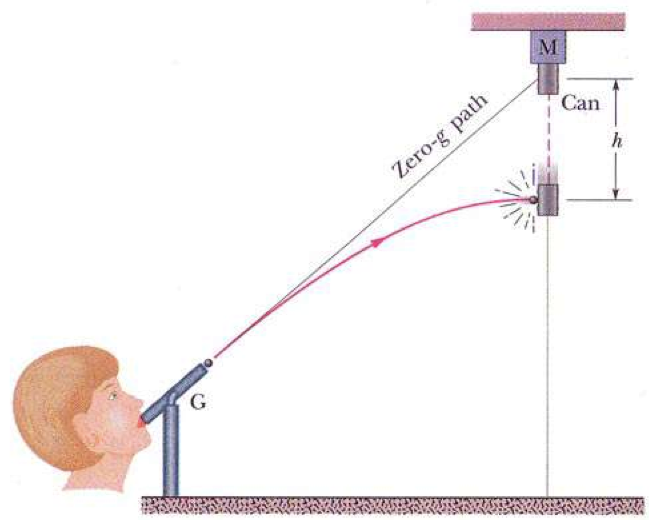 Using glass tube and adjustable stands from the chemistry lab, he constructed a blow gun that used a small piece of blackboard chalk as a “bullet”. 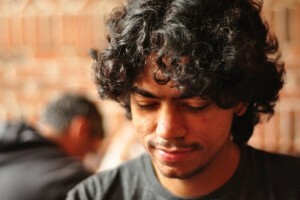 Across the room, he used a lab-built electromagnet to suspend a metal disk (the monkey). 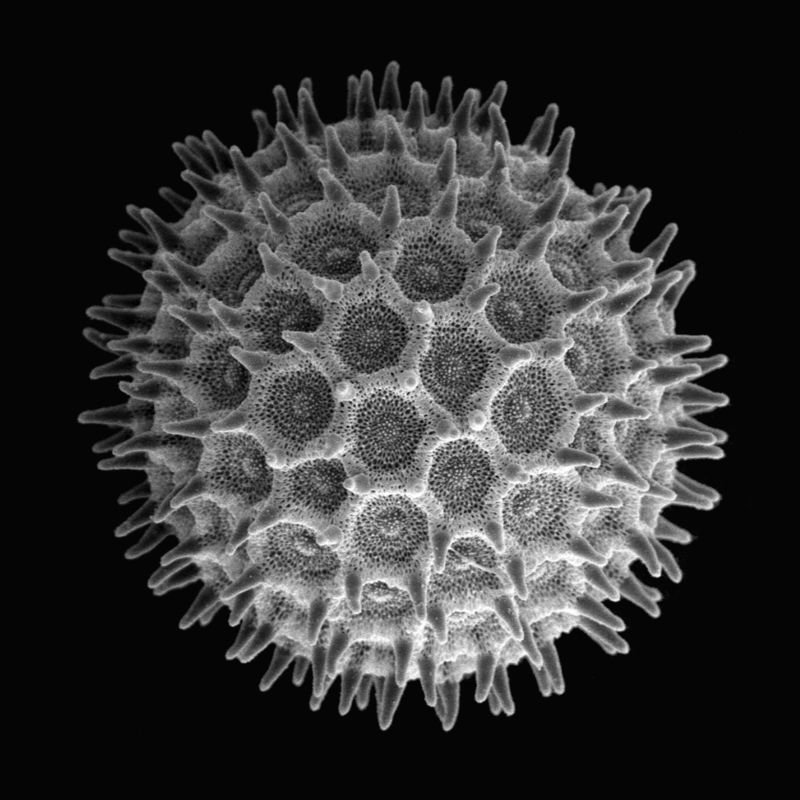 The tube was aimed directly at the target. The wires to the electromagnet extended back across the room and were taped to the end of the blow gun in such a way that they crossed at the muzzle and made contact, but the circuit would be broken by the chalk leaving the tube. The exact instant the chalk leaves the support of the tube and begins to fall (in a ballistic trajectory), the circuit breaks and the target also begins its descent. Students were invited to try it. No matter how fast the chalk left the tube, it never failed to hit the target. It made quite an impression on me. A small piece of chalk hitting a tiny *falling* target from 30 feet away? Over and over again? 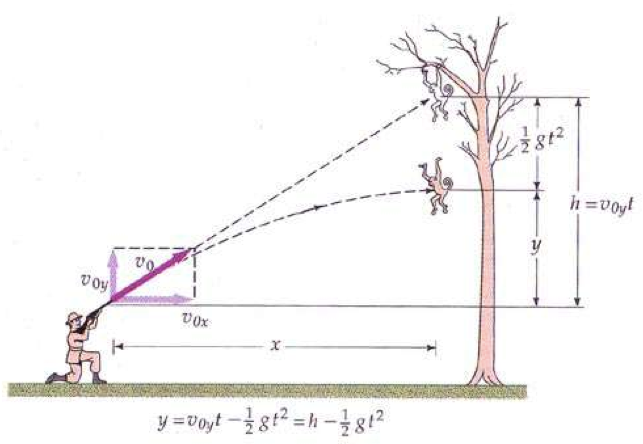 I couldn’t stop scratching my head until I figured out the physics involved. I just watched the full video – rather than just the video analysis clip – and I realized the MIT kids performed the experiment exactly as I described. Sorry for the gratuitous description.